Stephanie Ledyard is an author, poet, and teacher. 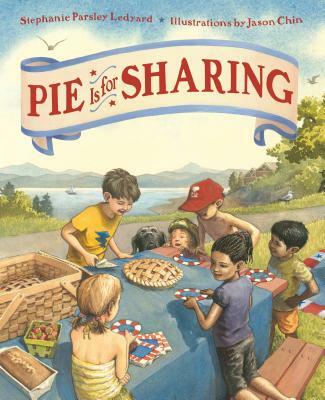 Pie Is for Sharing is her debut picture book. She grew up in Wichita Falls, Texas, but now lives in Dallas. Jason Chin is the author and artist of the award-winning book Redwoods, which Kirkus Reviews called, “An inventive eye-opening adventure.” His work also includes illustrations for Simon Winchester's The Day the World Exploded. He and his wife Deirdre, also an artist, live in Vermont.